For other uses, see Bendigo (disambiguation). Bendigo /ˈbɛndɪɡoʊ/ is a city in Victoria, Australia, located near the geographical centre of the state and approximately 150 kilometres (93 mi) north west of the state capital, Melbourne. As of June 2016, Bendigo had an urban population of 95,587, making it the fourth-largest inland city in Australia and fourth-most populous city in the state. It is the administrative centre for the City of Greater Bendigo, which encompasses both the urban area and outlying towns spanning an area around 3,000 km2 (1,158 sq mi) and over 111,000 people. The discovery of gold in the soils of Bendigo during the 1850s made it one of the most significant Victorian-era boomtowns in Australia. News of the finds intensified the Victorian gold rush, bringing an influx of migrants to the city from around the world within a year and transforming it from a sheep station to a major settlement in the newly proclaimed Colony of Victoria. Once the alluvial gold had been mined out, mining companies were formed to exploit the rich underground quartz reef gold. Since 1851, about 780,000 kilograms (25 million troy ounces) of gold have been extracted from Bendigo’s goldmines, making it the highest producing goldfield in Australia in the 19th century and the largest gold-mining economy in eastern Australia. It is also notable for its Victorian architectural heritage. The city took its name from the Bendigo Creek and its residents from the earliest days of the gold rush have been called “Bendigonians”. Although the town flourished in its beginnings as a result of the discovery of gold, it experienced a reversal of fortune in the early 20th century. However, its growth accelerated in the postwar years and has continued to increase steadily since. The original inhabitants of the Mount Alexander area that includes Greater Bendigo were the Dja Dja Wurrung (Jarra) people, who exploited the rich local hunting grounds. These grounds were eventually noticed by white settlers, who established the first of many vast sheep runs in 1837. The Mount Alexander North sheep run was bordered by a creek that came to be known as Bendigo, after a local shepherd nicknamed for the English bare-knuckle prizefighter William Abednego (“Bendigo”) Thompson. Gold was discovered in the area in September 1851, just after the other significant goldfields in neighbouring Castlemaine, from where many diggers migrated, bringing the total to 40,000 in less than a year. (Many of these were Chinese, whose descendants are still living in the area.) In 1853, a massive protest was held over the cost of the licence fee for prospectors, though it passed off peacefully, due to good diplomacy by police and miners’ leaders. From being a tent city, the boomtown grew rapidly into a major urban centre with many grand public buildings. The municipality became a borough in 1863, officially known as Sandhurst until 1891, but always unofficially as Bendigo. 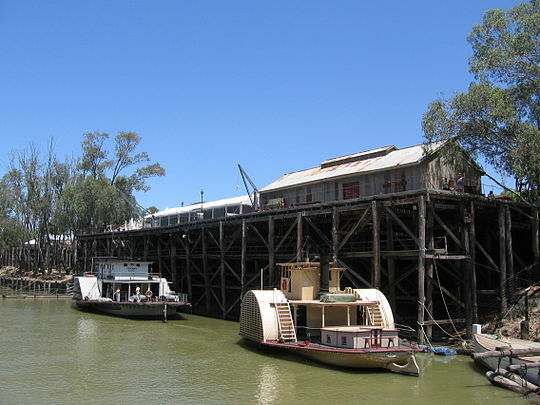 The railway had reached here by 1862, stimulating rapid growth, with flour mills, woollen mills, tanneries, quarries, foundries, eucalyptus oil production, food production industries, and timber cutting. When the alluvial gold ran out, the gold fields evolved into major mines with deep shafts to mine the quartz-based gold. Bendigo was declared a city in 1871. Rapid population growth brought a water shortage, partially solved with a new viaduct that harnessed the Coliban River. The architect left an important mark on Bendigo during this period. He is credited with the popular cottage design with verandahs decorated in iron lace, a style that was soon adopted right across the state of Victoria. Vahland also designed more than 80 buildings, including the Alexandra Fountain, arguably the most prominent monument in Bendigo, with its granite dolphins, unicorns, nymphs, and allegorical figures. A tram network was in use by 1890. After a temporary drop in population, renewed growth occurred from the 1930s, as the city consolidated as a manufacturing and regional service centre, though gold mining continued until 1954. Recent growth has been most heavily concentrated in areas such as Epsom, Kangaroo Flat, Strathdale, and Strathfieldsaye. In 1994, the City of Bendigo was abolished and merged with the Borough of Eaglehawk, the Huntly and Strathfieldsaye shires, and the Rural City of Marong to form the larger City of Greater Bendigo. The population of the city increased from around 78,000 in 1991 to about 100,617 in 2012. Bendigo is currently one of the fastest-growing regional centres in Victoria. The city is surrounded by components of the Greater Bendigo National Park, as well as the Bendigo Box-Ironbark Region Important Bird Area, identified as such by BirdLife International because of its importance for swift parrots and other woodland birds. A dozen species of insect-eating bats and the pollinating grey-headed flying fox inhabit the area. Bendigo has a relatively dry temperate climate with warm to hot summers and cool to cold winters. Under the Köppen-Geiger classification, it lies on a humid subtropical/oceanic transitional climate zone (Cfa/Cfb), due to its location being on the boundary of the hot, sultry inland areas to the north and the cool, damp Southern Ocean to the south. Bendigo gets 109.9 clear days annually. The mean minimum temperature in January is 14.3 °C (57.7 °F) and the maximum 28.7 °C (83.7 °F), although temperatures above 35 °C (95.0 °F) are commonly reached. The highest temperature officially recorded was 45.4 °C (113.7 °F), during the early 2009 southeastern Australia heat wave. There is also a disputed recording of 47.4 °C (117.3 °F) (on 14 January 1862). The mean minimum temperature in July is 3.5 °C (38.3 °F) and winter minima below 0 °C (32 °F) are recorded 28 nights per year on average. Mean maximum winter temperatures in July are 12.1 °C (53.8 °F). Most of the city’s annual rainfall of 582.1 millimetres (22.92 in) falls between May and September. Snowfalls are virtually unknown; however, frosts can be a common occurrence during the winter. A series of great floods occurred in Bendigo in 1859. Substantial flooding also occurred in 1903. Tornadoes have been seen around the area of Bendigo, and although rare, the 2003 Bendigo tornado passed through Eaglehawk and other parts of the city, causing major damage to homes and businesses. Bendigo was in severe drought from 2006 to 2010, and during this time, the city had some of the harshest water restrictions in Australia, with no watering outside the household. Heavy rains from the middle to later months of 2010 filled most reservoirs to capacity and only wasteful water use (e.g. hosing down footpaths) is currently banned. Bendigo was affected by the Black Saturday bushfires in 2009. A fire to the west of the city burned out 500 hectares (1,200 acres). The fire broke out at about 4.30 pm on the afternoon of 7 February, and burned through Long Gully and Eaglehawk, coming within 2 km (1.2 mi) of central Bendigo, before it was brought under control late on 8 February. It destroyed about 58 houses in Bendigo’s western suburbs, and damaged an electricity transmission line, resulting in blackouts to substantial parts of the city. One fatality from the fire occurred. Flash floods occurred across Bendigo during 2010, the first in March and the most severe at the beginning of September. According to the 2016 census of population, 92,379 people were in Bendigo Urban Centre. Aboriginal and Torres Strait Islander people made up 1.8% of the population. 84.6% of people were born in Australia. The next most common countries of birth were England 1.6%, India 0.7%, New Zealand 0.6%, Myanmar 0.5%, and Thailand 0.4%. 88.1% of people only spoke English at home. Other languages spoken at home included Karen 0.9%, Mandarin 0.5%, Malayalam 0.2%, Punjabi 0.2%, and Hindi 0.2%. The most common responses for religion were No Religion 36.2%, Catholic 22.0%, and Anglican 12.9%. The central area (CBD) of Bendigo consists of around 20 blocks of mixed-use area. The main street is the Midland Highway, the section running through the CBD is also known as “Pall Mall”, while the main shopping area is centred around Hargreaves Mall. The contiguous urban area of Bendigo covers roughly 82 km2 of the local government area’s 3048 km. Bendigo has several suburbs, some of which (such as Eaglehawk) were once independent satellite townships and many that extend into the surrounding bushland. Bendigo’s suburbs include Ascot, California Gully, Eaglehawk, , East Bendigo, Epsom, Flora Hill, Golden Square, Golden Gully, Longlea, Junortoun, Kangaroo Flat, Kennington, Long Gully, Maiden Gully, North Bendigo, Quarry Hill, , Spring Gully, Strathdale, Strathfieldsaye, , and White Hills. Shamrock Hotel dates back to 1854, and was rebuilt in 1897. As a legacy of the gold boom, Bendigo has many ornate buildings built in a late Victorian colonial style. Many buildings are on the Victorian Heritage Register and registered by the National Trust of Australia. Prominent buildings include the Bendigo Town Hall (1859, 1883–85), the Old Post Office, the Bendigo Law Courts (1892–96), the Shamrock Hotel (1897), the Institute of Technology, and the Memorial Military Museum (1921), all in the Second Empire style. The architect Vahland encouraged European artisans to emigrate to the Sandhurst goldfields and so create a “Vienna of the south”. Bendigo’s Sacred Heart Cathedral, a large sandstone church, is the third-largest cathedral in Australia and one of the largest cathedrals in the Southern Hemisphere. The main building was completed between 1896 and 1908 and the spire between 1954 and 1977. Fortuna Villa is a large surviving Victorian mansion, built for Christopher Ballerstedt and later owned by George Lansell. Many other examples of Bendigo’s classical architecture rank amongst the finest classical commercial buildings in Australia and include the Colonial Bank building (1887) and the former Masonic Hall (1873–74), which is now a performing-arts centre. Bendigo’s , a historic temple, was built in the 1860s by Chinese miners and is the only surviving building of its kind in regional Victoria, which continues to be used as a place of worship. The historic Bendigo Tram Sheds and Power Station (1903) now house Bendigo’s tramway museum. The Queen Elizabeth Oval still retains its ornate 1901 grandstand. The central city is skirted by Rosalind Park, a Victorian-style garden featuring statuary and a large blue stone viaduct. The main entrance corner of the park is on the intersection known as Charing Cross, formerly the intersection of two main tram lines (now only one). It features a large statue of Queen Victoria. The Charing Cross road junction features the large, ornate Alexandra Fountain (1881) and is built on top of a wide bridge that spans the viaduct. The park elevates toward , which features a historic school and former mine poppet head. Further from the city is Lake Weeroona, a large, ornamental lake adjacent to the Bendigo Botanical Gardens, which opened in 1869. The gardens are home to many native species of animals, including brushtailed and ring-tailed possums, ducks, coots, purple swamp hens, microbats (small insect-eating bats), the grey-headed flying fox, several species of lizards, owls, and the tawny frogmouth. 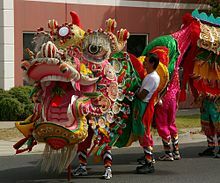 Bendigo is home to Sun Loong, the world’s longest imperial dragon, a symbol of the city’s Chinese heritage and a major drawcard of Bendigo’s Easter Festival procession. For the remainder of the year, it is on display in the Golden Dragon Museum. The Bendigo Art Gallery is one of Australia’s oldest and largest regional art galleries. In March 2012, it hosted a royal visit from Princess Charlene of Monaco at the opening of an exhibition about Grace Kelly. The Capital Theatre, originally the Masonic temple, is located next to the art gallery in View Street and hosts performing arts and live music. It also hosts the annual Bendigo Writers Festival, founded in 2012, which runs across the second weekend in August each year. The Ulumbarra Theatre  was opened on April 16, 2015. It was originally the Sandhurst/Old Bendigo Gaol. The renovated theatre retains some original architectural features of the gaol. The venue hosts performing arts and live music. It also acts as a ceremonial and teaching space for local secondary schools and universities. The city hosts the Bendigo National Swap Meet for car parts every year in early November. It is regarded[by whom?] as the biggest in the Southern Hemisphere and attracts people from all over Australia and the world. The city hosts the Victorian event of the annual Groovin’ the Moo music festival. It is held at the Bendigo Showgrounds and is usually held in late April or early May. The festival regularly sells out and brings many Australian and international acts to the city. It also attracts thousands of people from around Victoria to the city for the weekend. The Bendigo Blues and Roots Music Festival has been taking place each November since 2011. With over 80 artists from all over Australia, the not-for-profit festival is hosted in many of the venues around Bendigo, and is headlined by a large, family-friendly, free concert held in Rosalind Park. The Bendigo Easter Festival is held each year and attracts tens of thousands of tourists to the city over the Easter long weekend. Attractions include parades, exhibitions, and a street carnival. The Bendigo Queer Film Festival (BQFF) is one of Australia’s few regional annual festivals celebrating the Queer film genre. The BQFF started in 2004 and takes place in the second half of April. The Festival of Light is a multicultural celebration of peace and harmony inspired by the Buddha’s birthday held in May each year since 2013 at the Great Stupa. The festival’s program includes dancing and musical acts followed by a fireworks display at night. Regular network television is broadcast in the Bendigo region by Prime7 (7), WIN Television (10), Nine Bendigo (9), ABC, and SBS. Local programming consists of 30-minute weeknight news bulletins on WIN and short news updates on Southern Cross Ten. Prime Television maintains a sales office in Bendigo. On 5 May 2011, analogue television transmissions ceased in most areas of regional Victoria and some border regions including Bendigo and surrounding areas. All local free-to-air television services are now being broadcast in digital transmission only. This was done as part of the federal government’s plan for digital terrestrial television in Australia, where all analogue television transmission is being gradually switched off and replaced with DVB-T transmission. Several live music venues offer local independent bands and artists performing on a regular basis. These venues include the Music Man Megastore, the Gold Dust Lounge at the Hotel Shamrock, and the Golden Vine hotel, also the Bendigo Blues Club. Also, several adult choirs and the Bendigo Youth Choir often perform overseas; the Bendigo Symphony Orchestra, the Bendigo Symphonic Band, the Bendigo and District Concert Band, several brass bands and three pipe bands perform, as well. Musicians originally from Bendigo include Patrick Savage – film composer and former principal first violin of the Royal Philharmonic Orchestra in London. Australian Idol winner Kate DeAraugo grew up in Bendigo where her family still live. Cricket and Australian rules football are the most popular sports in Bendigo. The Queen Elizabeth Oval (referred to locally as the QEO) hosts both sports. The Bendigo and District Cricket Association is the controlling body for 10 senior cricket clubs within the Bendigo area. The Emu Valley Cricket Association organises matches for 13 clubs around the Bendigo district, from Marong in the north to Heathcote is the south. In terms of Australian rules, Bendigo Gold were a semiprofessional team that competed in the Victorian Football League until 2014. The Bendigo region is also home to the historic Bendigo Football League, a strong local Australian rules competition. The Bendigo Cup is a prominent horse-racing event. Bendigo Stadium. The stadium hosted basketball games during the 2006 Commonwealth Games. Bendigo’s men’s team is called the Bendigo Braves and the women’s team is called Bendigo Spirit. In both 2013 and 2014, the women’s team won the Women’s National Basketball League championship. The city co-hosted the 2003 FIBA Oceania Championship. Bendigo was the host to the second Commonwealth Youth Games, held from 30 November to 3 December 2004. Bendigo is a large and growing service economy. The major industries are health, finance (headquarters of the Bendigo and Adelaide Bank), tourism, commerce, education, food processing, and primary industries, with some significant engineering industries (see below under “Manufacturing”). Bendigo’s growth has stimulated growth in small surrounding rural towns (such as Elmore, , Rochester, Inglewood, Dunolly and Bridgewater). Tourism is a major component of the Bendigo economy, generating over A$364 million in 2008/09. Bendigo is popular with heritage tourists and cultural tourists with the focus of tourism on the city’s gold rush history. Prominent attractions include the , the Bendigo Tramways (both of which are managed by the Bendigo Trust, a council-intertwined organisation dedicated to preserving Bendigo’s heritage), the Golden Dragon Museum, the , and the Great Stupa. The main retail centre of Bendigo is the central business district, with the suburbs of Eaglehawk, Kangaroo Flat, Golden Square, Strathdale, and Epsom also having shopping districts. The city was home to Australia’s only provincial stock exchange, the Bendigo Stock Exchange (BSX), founded in the 1860s. The city is the home of the headquarters of the Bendigo Bank, established in 1858 as a building society. It is now a large retail bank with community bank branches throughout Australia. The bank is headquartered in Bendigo and is a major employer in the city (it also has a regional office at Melbourne Docklands). The City of Greater Bendigo Community Profile indicated that about 10.2% of the workforce were employed in manufacturing in 2011. After the Victorian gold rush, the introduction of deep quartz mining in Bendigo caused the development of a heavy manufacturing industry. Little of that now remains, but a large foundry (Keech Castings) makes mining, train, and other steel parts and a rubber factory remains (Motherson Elastomers, formerly Empire Rubber). Thales Australia (formerly ADI Limited) is an important heavy engineering company. Australia Defence Apparel is another key defence industry participant making military and police uniforms and bulletproof vests. Intervet (formerly Ausvac) is an important biotechnology company, producing vaccines for animals. The Bendigo Senior Secondary College is the largest VCE provider in the state. Catherine McAuley College follows close after, which ranges from years 7–9 at the Coolock campus and 10–12 at the St Mary’s campus. Girton Grammar School, an independent school, provides education to students from years Prep-12.The Bendigo campus of La Trobe University is also a large and growing educational institution with over 5,000 undergraduates and postgraduates in its two colleges. The surrounding area, or “gold country”, is quite harsh, rocky land with scrubby regrowth vegetation. The box-ironbark forest is used for timber (mainly sleepers and firewood) and beekeeping. Sheep and cattle are grazed in the cleared areas. There are some large poultry and pig farms. Some relatively fertile areas are present along the rivers and creeks, where wheat and other crops such as canola are grown. The area produces premium wines, including Shiraz, from a growing viticulture industry. Salinity is a problem in many valleys, but is under control. A relatively small eucalyptus oil industry operates there. Bendigo provides services (including a large livestock exchange) to a large agricultural and grazing area on the Murray plains to its north. One of the major revolutions in gold mining (during the Victorian gold rush) came when fields such as Bendigo, but also Ballarat, Ararat, and the goldfields close to Mount Alexander, turned out to have large gold deposits below the superficial alluvial deposits that had been (partially) mined out. Gold at Bendigo was found in quartz reef systems, hosted within highly deformed mudstones and sandstones or were washed away into channels of ancient rivers. Tunnels as deep as 3000 ft (900 m) (Stawell) were possible. Until overtaken in the 1890s by the Western Australia goldfields, Bendigo was the most productive Australian gold area, with a total production over 20 million ounces (622 tonnes). Over the 100-odd year period from 1851 to 1954, the 3,600-hectare area that made up the Bendigo gold field yielded 25 million ounces (777 tonnes) of gold. A large amount of gold remains in the Bendigo goldfields, estimated to be at least as much again as what has been removed. The decline in mining was partly due to the depth of mines and the presence of water in the deep mines. Bendigo is connected via the Calder Freeway to Melbourne, which is less than two hours by car. The remaining section of highway nearest Bendigo has been upgraded to dual carriageway standard ensuring that motorists can travel up to speeds of 110 km/h (68 mph) for most of the journey. Many other regional centres are also connected to Melbourne via Bendigo, making it a gateway city in the transport of produce and materials from northern Victoria and the Murray to the Port of Melbourne and beyond. Bendigo acts as a major rail hub for northern Victoria, being at the junction of several lines including the Bendigo line which runs south to Melbourne and lines running north including the Swan Hill, Echuca and Eaglehawk–Inglewood lines. V/Line operates regular VLocity passenger rail services to Melbourne’s with the shortest peak journeys taking approximately 91 minutes from Bendigo railway station, generally however services take two hours or longer. While there are several rail stations in the urban area, only three other stations currently operated for passengers: Kangaroo Flat railway station on the Bendigo Line, Epsom Railway Station on the Echuca railway line, and Eaglehawk railway station on the Swan Hill railway line. There are also additional train services to and from Swan Hill and Echuca. The Regional Rail Link promises more reliable services between Bendigo and Melbourne by providing some separation from the Melbourne metropolitan rail network. Victoria’s electronic ticketing system, Myki, was implemented on rail services between Eaglehawk and Melbourne on 17 July 2013. Bendigo is also served by an extensive bus network that radiates mostly from the CBD towards the suburbs. The city is also served by several taxi services. Trams in Bendigo have historically operated an extensive network as a form of public transport, but the remains of the network were reduced to a tourist service in 1972. Short trials of commuter tram services were held in 2008 and 2009 with little ridership. The second, “Take a Tram”, proved more successful, running twice as long as the previous trial. By the end of the “Take a Tram” program, ridership had increased and was increasing. However, due to lack of government subsidy or backing, the program ended. The Bendigo Base Hospital is the city’s largest hospital, only public hospital, and a major regional hospital. St John of God is the largest private hospital. Bendigo is also served by a privately owned smaller surgical facility, the Bendigo Day Surgery. Bendigo is entitled to a portion of the water in Lake Eppalock, an irrigation reservoir on the Campaspe River. Developments have led to the building of a pipeline from Waranga to Lake Eppalock and thence to Bendigo in 2007. The dam (and a road) is called Faugh A Ballagh. Thomas Flanagan (prospector), co-founder of Kalgoorlie, Western Australia in June 1893. ^ a b “3218.0 – Regional Population Growth, Australia, 2016: Population Estimates by Significant Urban Area, 2006 to 2016”. Australian Bureau of Statistics. Australian Bureau of Statistics. 28 July 2017. Retrieved 26 October 2017. Estimated resident population, 30 June 2016. ^ “2016 Census Community Profiles: Bendigo”. ABS Census. Australian Bureau of Statistics. Retrieved 26 October 2017. ^ “2016 Census Community Profiles: Greater Bendigo (C)”. ABS Census. Australian Bureau of Statistics. Retrieved 26 October 2017. ^ “3218.0 – Regional Population Growth, Australia, 2016: Population Estimates by Local Government Area, 2006 to 2016”. Australian Bureau of Statistics. Australian Bureau of Statistics. 28 July 2017. Retrieved 26 October 2017. Estimated resident population, 30 June 2016. ^ a b “State of Victoria Early Postal Cancels (and History) Illustrated, Section II: 1851 to 1853” (PDF). Home.comcast.net. Archived from the original (PDF) on 2013-11-02. Retrieved 31 March 2015. ^ a b c “Bendigo Campus, Latrobe”. AtUni.com.au. 20 June 2014. Archived from the original on 2 April 2015. Retrieved 31 March 2015. ^ Earliest reference in a newspaper digitised on-line by the National Library of Australia to the term “Bendigonian” “The Northern Gold Fields”. The Maitland Mercury & Hunter River General Advertiser (NSW : 1843 – 1893). Maitland, NSW. : National Library of Australia. 18 January 1854. p. 2. Retrieved 5 May 2013. ^ “Bendigo”. Geelong Advertiser and Intelligencer. Geelong, Vic. : National Library of Australia. 29 August 1854. p. 4. Retrieved 5 May 2013. ^ “Population forecasts”. City of Bendigo. Retrieved 10 June 2014. ^ “IBA: Bendigo Box-Ironbark Region”. Birdata. Birds Australia. Retrieved 23 October 2011. ^ Porteners, M. F. 1993.The natural vegetation of the Hay Plain: Booligal-Hay and Deniliquin-Bendigo 1:250 000 maps, Cunninghamia Vol. 3(1): 1-87. ^ Aikman, Rod (8 February 2003). “Weather history preserved”. Bendigo Advertiser. Retrieved 5 August 2011. ^ “Climate statistics for Bendigo”. Bureau of Meteorology. April 2013. Retrieved 16 November 2017. ^ The Argus (Melbourne) 30 May 1859, p. 6. ^ The Argus (Melbourne) 29 December 1903, p. 6. ^ “‘Mini tornado’ wreaks havoc”. The Age. Melbourne. 19 May 2003. Retrieved 30 March 2008. ^ a b “Meeting held for fire-affected Bendigo residents”. Australian Broadcasting Corporation. 9 February 2009. Retrieved 9 February 2009. ^ Power, Emily; Collier, Karen (9 February 2009). “The man up the road is on fire”. Herald Sun. Australia. Retrieved 9 February 2009. ^ Quirk, Clare (7 March 2010). “Bendigo flood clean-up, then the cost”. Bendigo Advertiser. Retrieved 31 March 2015. ^ Quirk, Clare (5 September 2010). “Deluge causes flood havoc across central Victoria”. Bendigo Advertiser. Retrieved 31 March 2015. ^ Australian Bureau of Statistics (27 June 2017). “Bendigo (Urban Centre and Localities)”. 2016 Census QuickStats. Retrieved 22 April 2018. ^ John Elder. “A fairytale in Bendigo as Charlene enters with grace”. The Age. Retrieved 31 March 2015. ^ “Home”. Ulumbarra Theatre. Retrieved 2016-01-20. ^ Pedler, Chris (2015-04-17). “Ulumbarra Theatre: Grand opening kicks a goal”. Bendigo Advertiser. Retrieved 2016-01-20. ^ Parker, Fiona (2015-01-19). “Old meets new in Bendigo as Sandhurst Gaol becomes Ulumbarra Theatre – ABC News (Australian Broadcasting Corporation)”. Abc.net.au. Retrieved 2016-01-20. ^ “Arts Register”. City of Greater Bendigo. 2010. Archived from the original on 2009-10-08. Retrieved 6 June 2010. ^ “Patrick Savage (II)”. IMDb.com. Retrieved 31 March 2015. ^ Moore, Debi (26 August 2010). “Sample a Bit of the Score from Fetch”. Dreadcentral.com. Retrieved 31 March 2015. ^ “Celebrity – Book Kate Dearaugo at MTA – Entertainment Booking Agency Australia – MTA Entertainment and Events”. Musictheatreaustralia.com.au. 5 November 1985. Retrieved 31 March 2015. ^ “Kate Dearaugo Biography”. Sing365.com. Archived from the original on 2 April 2015. Retrieved 31 March 2015. ^ “Bendigo Tourism Board Inc : Annual Report : 2008–2009” (PDF). 121.50.208.46. Archived from the original (PDF) on 4 March 2016. Retrieved 31 March 2015. ^ “Industry sector of employment | City of Greater Bendigo”. Profile.id. 10 January 2011. Retrieved 31 March 2015. ^ Google Maps calculates the distance from Bendigo to Melbourne to be 153 km (95 mi) and the time of travel is estimated to be 1 hour 47 minutes. ^ “Myki to start on VLine Commuter Services”. VLine Pty Ltd. Archived from the original on 2013-08-27. Retrieved 7 August 2013. ^ “The Bendigo Trust”. www.bendigotrust.com.au. Archived from the original on 17 June 2008. Retrieved 7 June 2008. ^ “Tram trial gets mixed results” (PDF). Tram Talk. Friends of the Bendigo Tramways. 2009. Retrieved 7 July 2010. ^ “Sister Cities”. City of Greater Bendigo. Archived from the original on 2011-02-19. Retrieved 1 November 2010. Sarle, Geoffrey. “Mackey, Sir John Emanuel (1863–1924)”. Australian Dictionary of Biography, Volume 10, (MUP), 1986. Australian Dictionary of Biography. Australian Dictionary of Biography. Retrieved 30 March 2015.